Memorial Day weekend means both a quiet LA, as most folks head out of town, and an event-filled weekend, as all of the summer festivals kick-off. 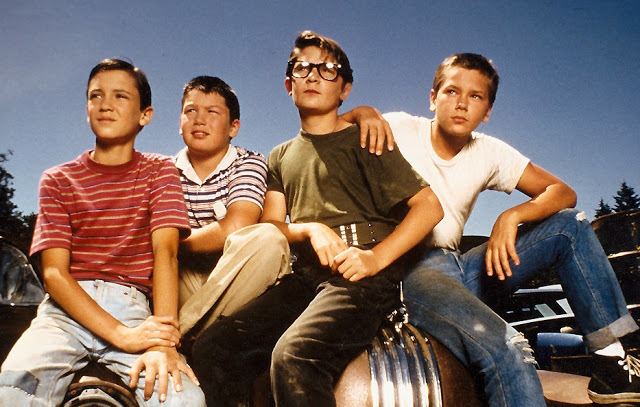 So, go, have fun, and find yourself a nice, open spot on the grass to relax. Hang in the cemetery, down at USC, on top of a hill, or even (get this! ), on the LA River! Barnsdall Wine Tasting launches for the summer, starting tonight. Unwind and enjoy the beautiful Barnsdall Art Park as the sun is setting, from the gated gardens in the West Lawn of the historic Hollyhock House. Silverlake Wine will present four selections of boutique, small production, artisanal wines from around the globe. 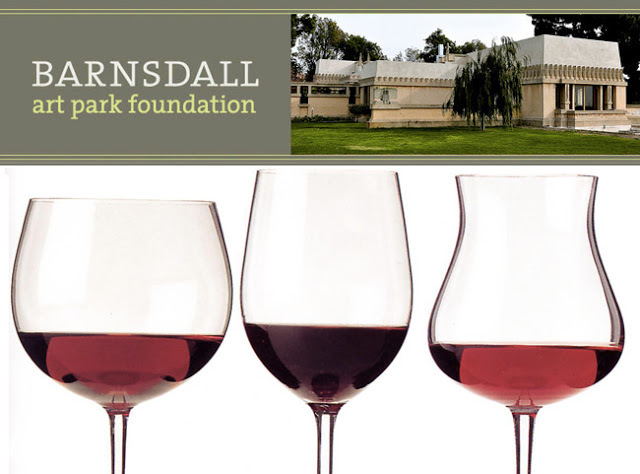 All profits from the wine tastings benefit Barnsdall Art Park Foundation programs and projects. Tickets are $25 (including a limited edition wine glass) and available online only. All sales will be closed one hour prior to the event. This 1968 classic was directed by Blake Edwards. 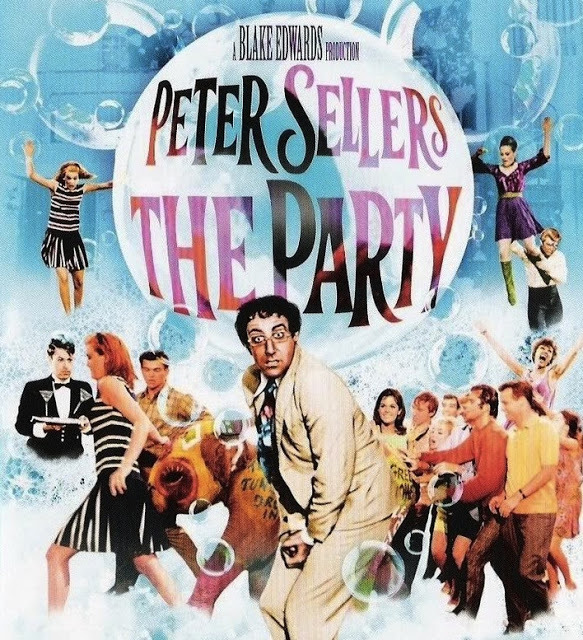 When the clumsy but lovable Peter Sellers is accidentally invited to an industry party, he helps transform the night into the most swinging affair of the 60s. Also starring Claudine Longet, with a mod soundtrack by Henry Mancini. Bring blankets, drinks and picnic dinners. As a courtesy to other moviegoers: NO TALL CHAIRS. DJ Derek James spins before and after the screening. 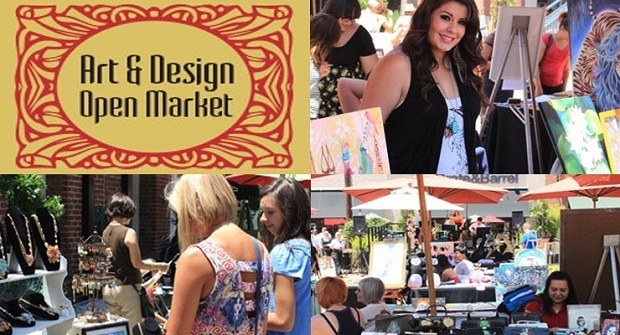 Art + Design Open Market is a one-day event showcasing the art and talent from the Pasadena City College and the Art Center College of Design. One-of-a-kind photos, paintings, illustrations, ceramics and handmade apparel and jewelry from LA’s up-and-coming artists will line the cobblestone alleys of One Colorado’s historic property. Live music will also fill the courtyard. Grand Park hosts an afternoon of the best in electronic music performance curated by Eduardo Castillo from The Eclectech. Castillo brings the beats of local and international DJs and producers to the heart of Downtown LA. 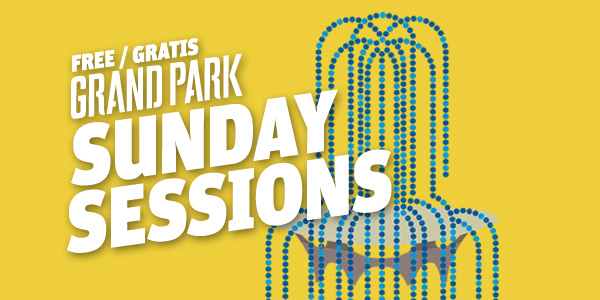 Happening every last Sunday of the month all summer long, Sunday Sessions will also feature food trucks and cocktails by Pattern Bar. Performing Sunday are Wolf + Lamb with Baby Prince / No Regular Play / Eduardo Castillo / Garth / Jeniluv / Wiseacre. Los Angeles History – that’s a thing! And Los Angeles Outdoor Recreation – that’s a thing, too! 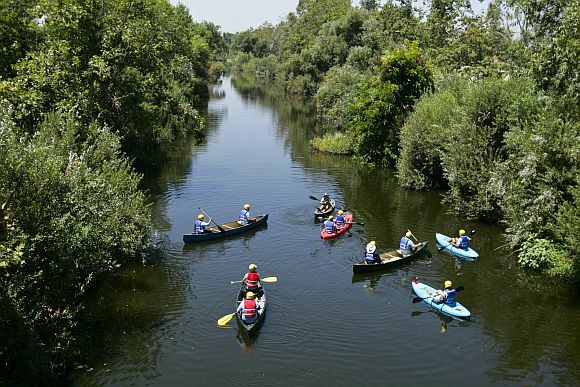 This Memorial Day, a 2.5-mile stretch of the L.A. River near downtown will be opened up to the public, including those with kayaks and fishing equipment, for the first time in decades. The occasion will be marke with a ceremony around 10 am on Memorial Day at Marsh Park, near Elysian Valley (just northeast of the 2* and 5 freeway interchange). After words from local politicians and a representative from the US Army Corps of Engineers, the public is invited to hop in their kayaks and paddle downstream. This section of the river will be open from Memorial Day until Labor Day. Only big groups need reservations or permits to use the river, so dust off your water-recreation equipment, and hit the rapids. The Mountains Recreation and Conservation Authority will manage the zone, which will be open from sunrise to sunset. Topanga Days marks its 40th year with live music on two stages, great food, cold beer, art, crafts, jewelry, unique gifts, and more. The original Strawberry Festival of the 1960s began here and over time, this festival evolved into Topanga Days, the annual fundraiser held on the three-day Memorial Day weekend. Please, No Dogs or Animals! $20 Children 6-12 & Seniors 65+: $10, Children 5 & under: FREE! No Advanced Tickets! Come Early! 1440 N. Topanga Cyn. Bl.